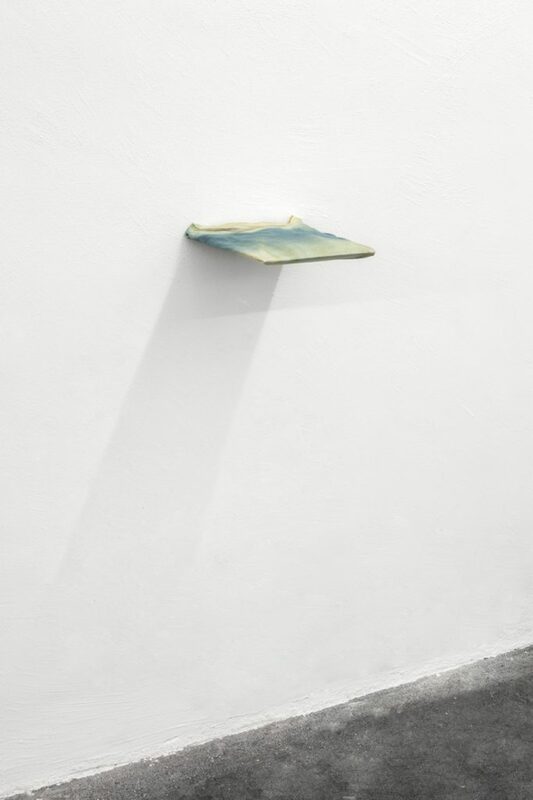 Giorgio Galotti gallery, is thrilled to present ‘Aurora’, the first solo show in Italy by Renata De Bonis. 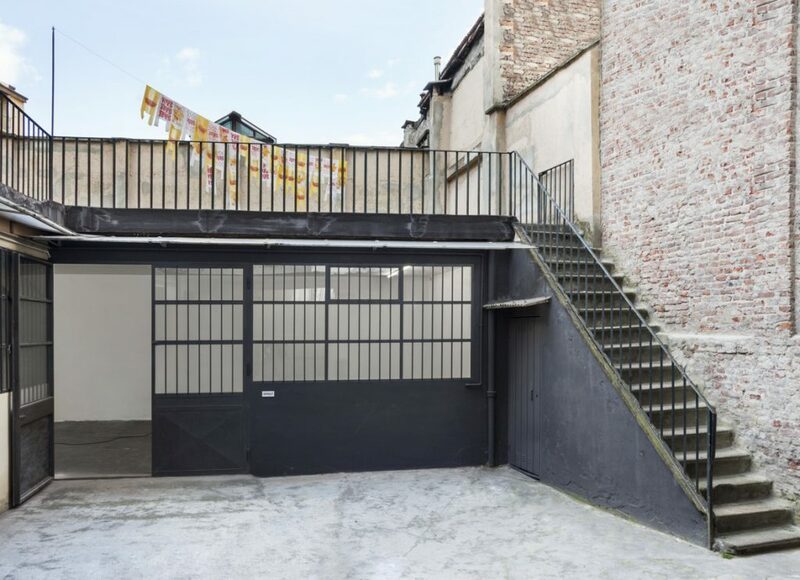 All the artworks presented have been created specifically for the space and were realized in Turin during her residency at Cripta747. With this project the artist intends to offer to visitors, a vision of the most complex aspects of her practice. The project elaborated for this show has its starting point in the word and concept of ‘aurora’, as the name of the area and neighborhood where the gallery is located, and as the universal term representing the natural phenomenon and state of gradual luminous transition and ambiguity taking place between night and day. The reflection towards the term ‘aurora’ brought the artist to obsessively compose an aesthetic narrative from the relationship between a series of sensations perceived during the day by both the human body and materiality itself, and the sun’s emanating and reverberating energy. By highlighting and emphasizing the physical ramifications of the sun, uncontrolled by humans, yet from which all life is dependable of, the artist contemplates upon ephemerality and the everyday, evoking life cycles, the passage of time, and the inevitable decomposition of day into night and night into day. The work ‘6:35am / 8:04pm (April 16th 2017)’ originates from a chromatic and daily interpretation of daybreak and nightfall. During her residency in Turin she wore two distinct white t-shirts in two different moments of the day: one during dawn and another one during dusk. A photo-sensitive substance – historically used for the creation of cyanotypes – was applied to the t-shirts, retaining the luminosity of both the appearing and fading sunlight, while simultaneously photographing the occurring shapes and elements between the source of light and the support, consequently measuring a subject’s daily development to the intensity of light. 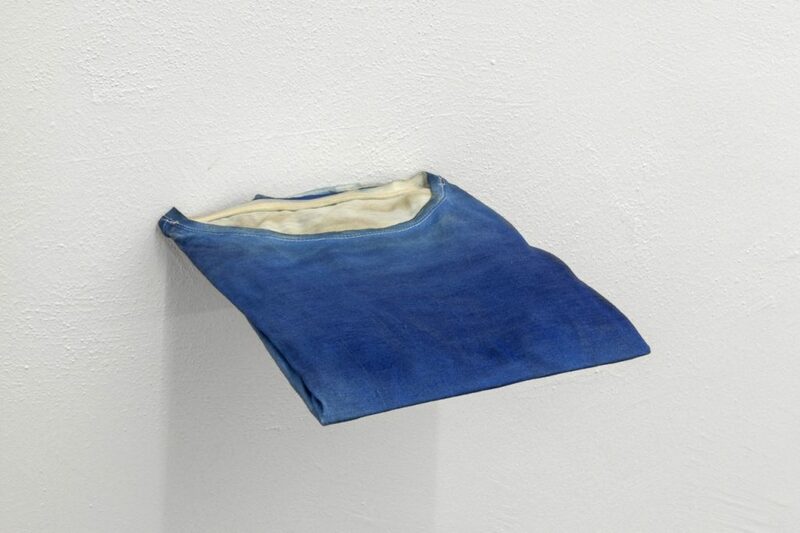 The two shirts, colored by the sun, were then oriented at two opposite poles of the gallery space: one on the east, and another one on the west, to recreate an autonomous life cycle of sunrise and sunset, inside an aseptic environment. ‘The stranger (24°C)’ is the result of a natural process that alludes to artificial mechanism of heat transfer. 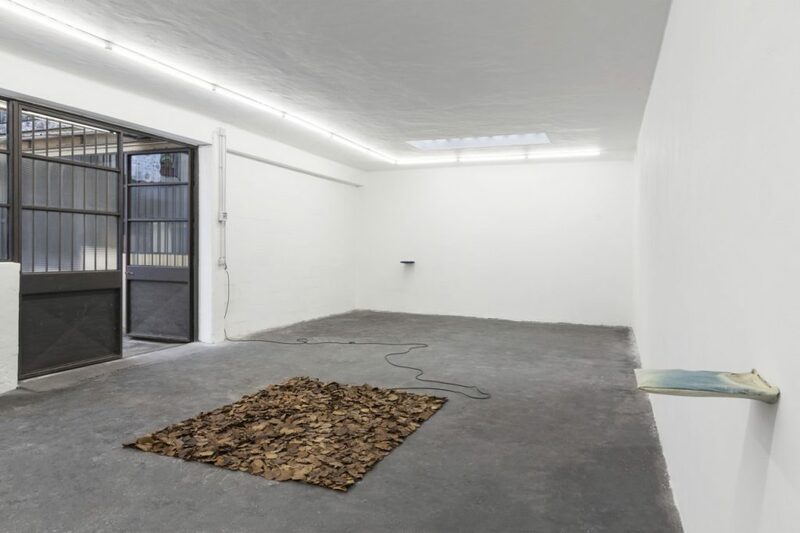 A selection of dried leaves, harvested few weeks before her trip to Turin, in front of her home in Sao Paulo – where it is currently autumn – were boarded on the plane and placed inside the gallery. 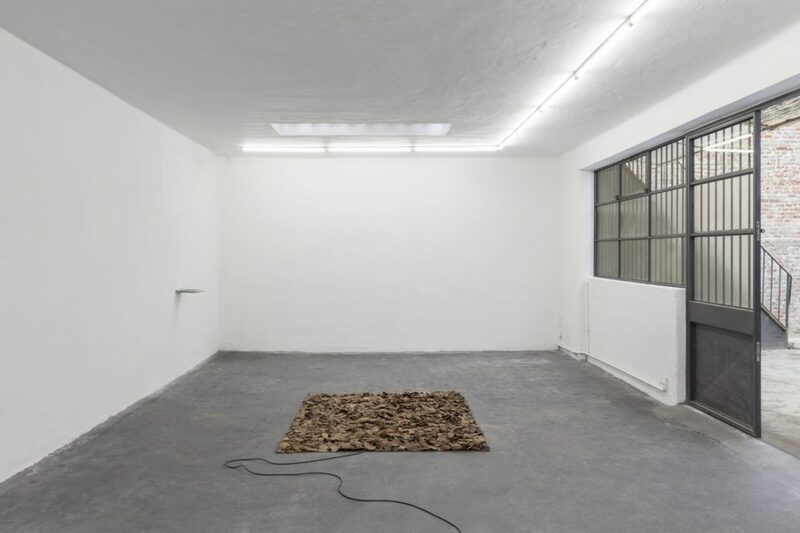 Exhibited as an unpretentious concentration of fallen leaves, the disintegrating mass shelters beneath it a functioning household heated carpet, precisely adjusted to reproduce the temperature and atmosphere of Sao Paulo in the same exact day the leaves were collected. 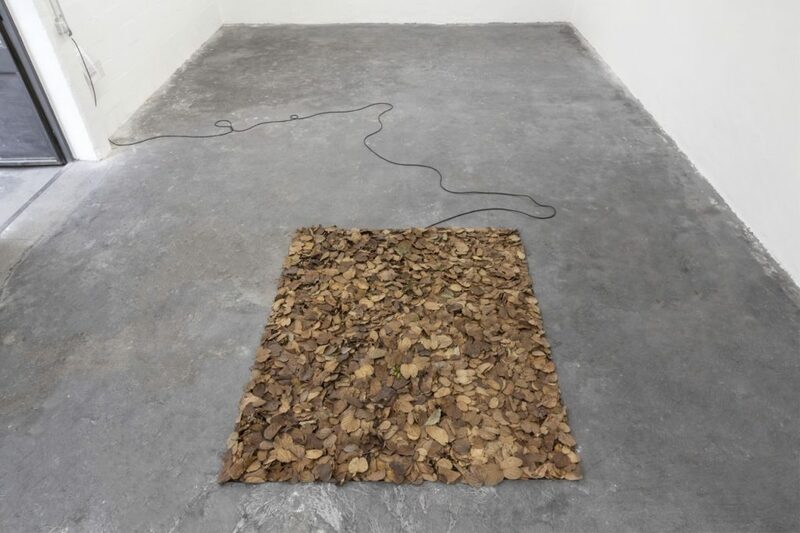 The work addresses the artist’s affection towards her own environment through an effort of relocation, where any element, albeit artificial, can stimulate the instinct of acclimatization, composing a familiar environment capable of reactivating native sensations of a place far away. 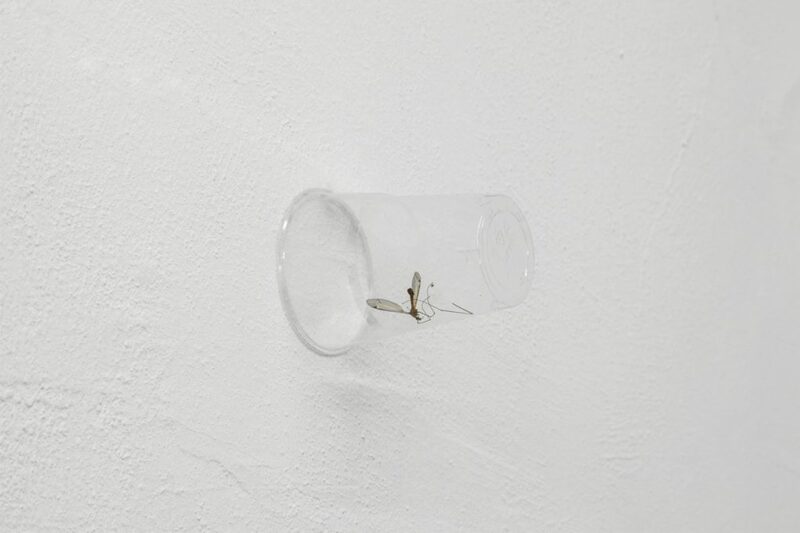 Additionally the work ‘Redoma (2.08 mt)’, the Portuguese word for both ‘dome’ and ‘bell jar’, is composed by simulating and arresting a banal action, that of trapping a mosquito within a cup on the wall in order to displace and liberate it. 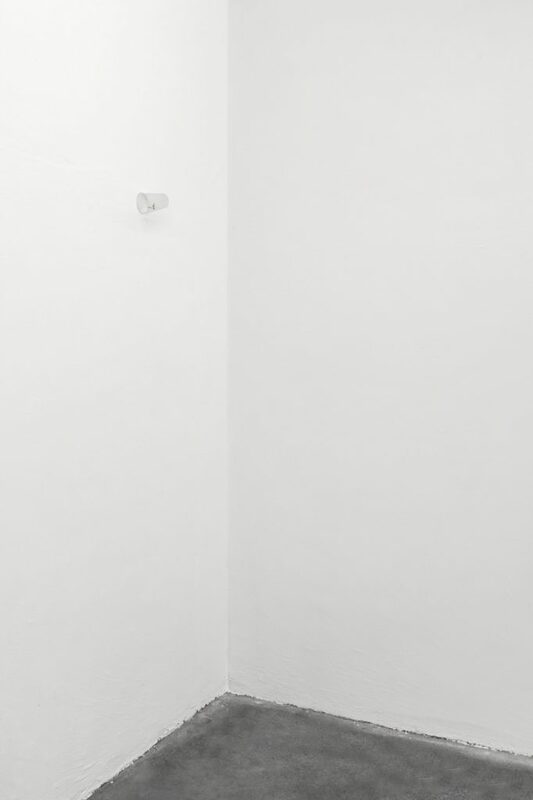 The position of the cup on the wall, magically withheld at 2.08 m of height, is established in relation to the artist’s dimensions, and the maximum height she can reach, highlighting the triviality of the situation. The work also references the daily appearing sun, emphasizing the cycles of life and death within an everyday space and timeframe, considering that some species of mosquitoes live only one day. 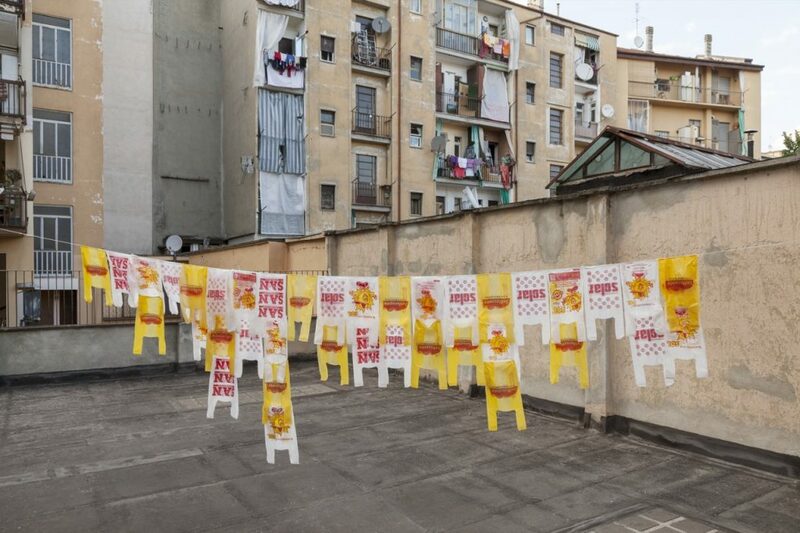 Finally, the artist install ‘Reverence’ in the rooftop of the gallery and its surrounding balconies, hanging, in like manner to drying clothes on the clothesline, plastic bags retrieved and collected by the artist from supermarkets whose names are somehow related to the sun’s iconography. 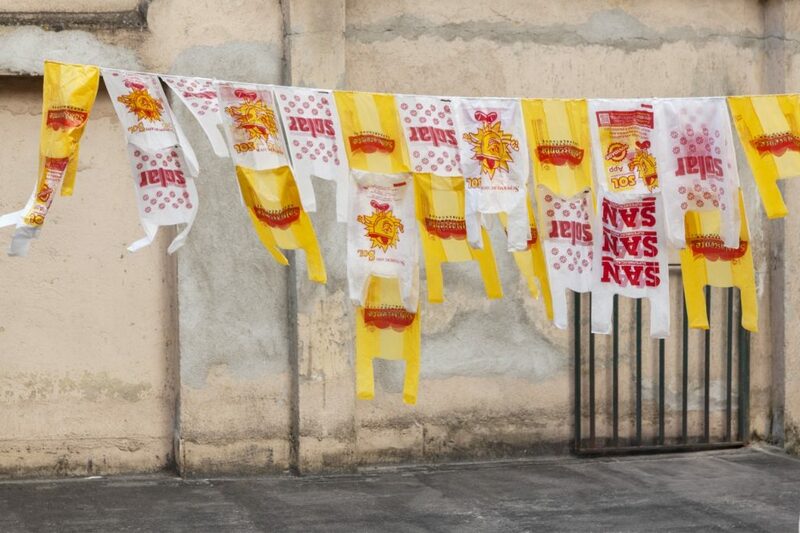 The installation is thus made visually available to residents of the neighborhood through a mimetic procedure, where the plastic bags adapt and camouflage themselves within a courtyard of the city, which, in like manner to many other courtyards in Turin, are commonly populated by hanging clothes and curtains. The work, in constant exposure to inclement weather and the cycles of the sun, will change throughout the duration of the show, revealing signs of wear and gradient shades of the information and symbols imprinted upon the plastic. Furthermore ‘Reverence’ is also a tribute to Turin and it’s reminders of the adaptability of foreigners to an unknown territory.